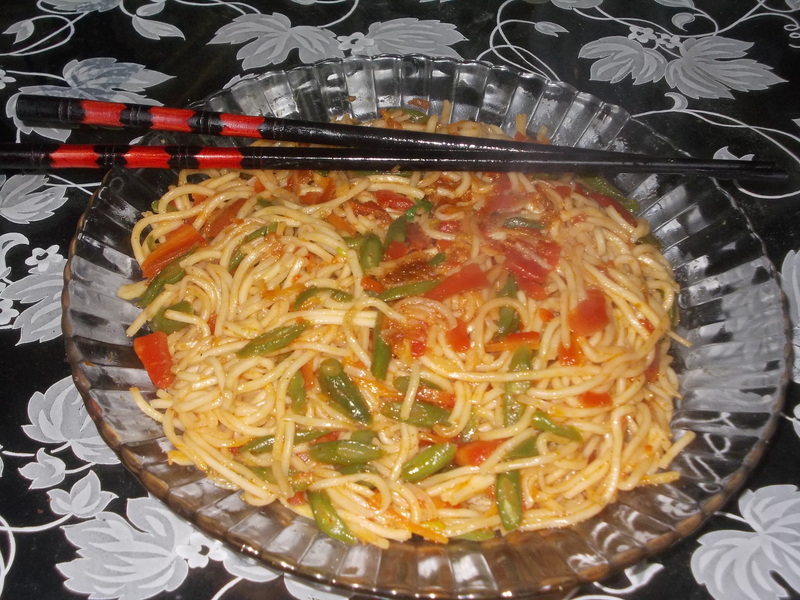 Veg Chowmein, the popular snack, is a tasty & nutritious recipe. It has a perfect combination of nutrients & starch. It originates from Chinese cuisine. Boil 6 cups of water with 1 tsp of oil & 1 tsp of salt. Add noodles & cook for 2-3 minutes. Add carrot, beans, capsicum, mushroom, cabbage & baby corn. Add salt, pepper & ajinamoto & stir well. Add boiled noodles, chilli sauce, soya sauce & stir. Veg Chowmin is ready. Serve hot.